Rain covers designed to give you additional protection from unexpected showers on your rides. All ViaTerra saddlebags, tailbags and tankbags come with raincovers by default, you can buy extra or replacement covers. 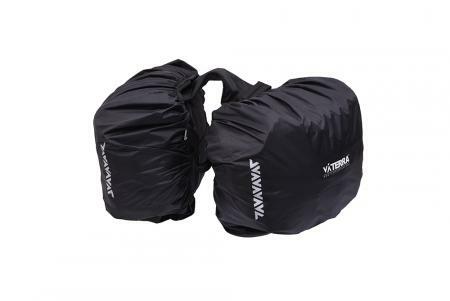 Rain covers come as a set of 2 for Leh saddlebags. The effectiveness of rain covers decreases with time and usage. We recommend buying replacement rain covers every 6-12 months based on their condition. We are expecting it to be in stock by the month of Feb-19.